New patients notice right away that our dental practice is unique. Our team is always smiling and happy to work with patients.  We have brought together skilled people who love what they do and are dedicated to transforming people’s dental health. After 15 years as a part of the Mid-Wilshire community, we know that the foundation of our practice is based upon the efforts of each doctor and team member. Here at Wpd Dental Group, we believe in education, training, skill and excellence. Our team is always adding knowledge to their already vast skills. They are craftsman in their own right and our patients come from all over Los Angeles for their trusted care. Once we restore your smile and bite, we focus on prevention to keep your smile healthy. To find out if we are the best choice for your dental health, we invite you to try our services. Please make sure to ask us about our discounts when you book your appointment. Lisa. Registered Dental Hygienist. Lisa earned her B.S. from USC. She is a member of the American Dental Hygienists Association. Julie. Registered Dental Hygienist. Julie earned her B.S. in Biochemistry from UCSD West LA College Dental Hygiene Program. Margie. Registered Dental Hygienist. Margie earned her B.S. in Kinesiology at CSUN and B.S. in Dental Hygiene at USC.